The Okotoks Dawgs and Lethbridge Bulls meet yet again -- for the fifth time in five years -- in the openeing round of the WMBL playoffs. It’s same time, same place ... every year. For the fifth straight year, the Okotoks Dawgs are meeting the Medicine Hat Mavericks in the Western Major Baseball League playoffs. The Dawgs clinched the No. 2 seed in the WMBL’s Alberta division and will opened the best-of-five series at home at Seaman Stadium against the No. 3 seeded Mavericks (24-23). The Dawgs (28-19) should be glad to open with a pair in Okotoks, after having success in the regular season with a 16-8 record at home. The Dawgs are historically strong at the ballpark named for the late Doc Seaman, where record-breaking crowds supported them yet again this year. The Dawgs drew an average of 2,918 fans per game this regular season, topping 70,000 total attendance in the regular season for the first time. Now heading in to playoff time, the Dawgs look to take true advantage of their unique home field advantage. Second year Dawgs head coach, Brett Thomas knows all about it. An assistant coach at the College of San Mateo, who played his collegiate ball for the Cal-Berkeley Bears, Thomas played three summers for the Dawgs, winning three WMBL championships, while going 16-1 at home in the playoffs. As bench boss, Thomas is trying to cook up that kind of success with the current group. His formula? Simple: Pitching and defence. The Dawgs believe that they have shored up both departments sufficiently to give themselves the capability to make a serious run deep into August. Thomas has assembled a Dawgs pitching staff in 2015, that could remind long-time fans of the days when Jeff Duda threw 12 scoreless innings in Game 1 of the 2008 WMBL championship series. The Dawgs own both of the co-WMBL wins leaders, and the league’s top two ERAs among starters. Dylan Nelson completed his senior season at Thomas’ alma mater, Cal, this spring, serving as the Bears closer compiling eight saves and a 2.95 ERA. He has excelled in a starting role in Okotoks, posting a 7-0 regular season record with a 2.24 ERA, while ranking third in the league with 60 strikeouts. Trevor Swaney was a weekend starter this spring as a sophomore at Wright State, helping the Raiders reach regionals in Champaign, Ill. This summer, Swaney owns the best starter’s ERA in the WMBL at 1.68 and is tied with Nelson for the most wins, with his 7-1 record. One veteran of the Dawgs staff who returned in 2015 and has honed his craft to another level is Chris Horvath (Windsor, Ont.). The Wayne State (Mich.) sophomore showed very well in five starts last summer, and has grown into one of the top arms in the league in 2015, posting a 1.80 ERA in eight starts. The bullpen, a source of some trepidation for the Dawgs in 2014, has been transformed into a resounding strength of this year’s club. 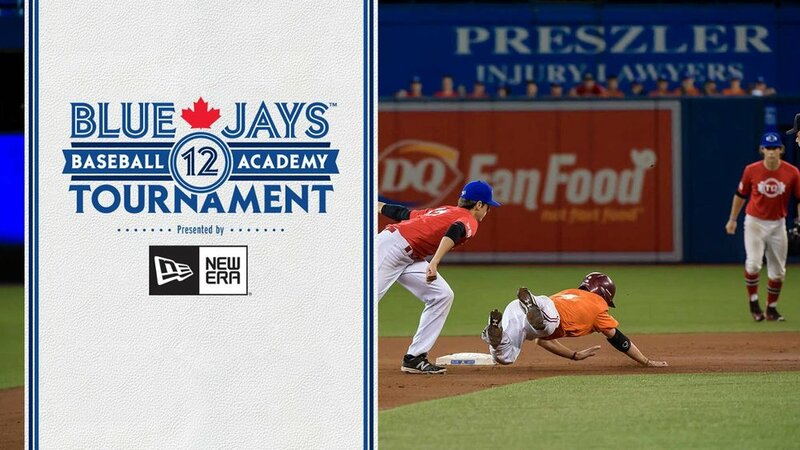 The University of British Columbia’s Jeremy Newton (Toronto, Ont.) leads the WMBL with eight saves and an ERA of 2.31 in 19 appearances. Fellow NAIA standout Holden Lyons, the closer at Oklahoma City University as a sophomore in 2015, has four wins, a save, and a sub-three ERA in a team-high 21 appearances. After sitting north of six during a 3-8 start, the Dawgs 3.40 team ERA is marginally behind the Lethbridge Bulls mark of 3.36 with one game remaining. Behind any successful pitching staff is a great defence, and that has been the case with the Dawgs, with Ellis Kelly (Univ. of Utah) and Brian Sisler (Northern Illinois) providing a dynamic double play duo, while an athletic outfield is patrolled by the likes of Daniel Fredrickson (Washington State), Alex Gudac (Mesa CC), and veteran Dawg, Brendan Rose (Calgary, Alta., UBC). The bats have been there to support their men on the mound as well. Okotoks ranks third in runs scored, averaging 5.57 per game, while posting the league’s second best team average at .289. Leading the charge is Brendan Hendriks (Cochrane, Alta.). Coming off of six homeruns and 34 RBIs in his senior year at the University of San Francisco, the first baseman is pacing the Dawgs with four homeruns, 10 doubles and 36 RBI’s in 31 games, after joining the team in mid-June. Sisler is close behind Hendriks, batting .340 with three homers, 10 doubles and 28 RBIs, while scoring 41 runs. Daniel Fredrickson has set the table at the top of the order, batting .351 with 20 runs driven in. The Dawgs will now attempt to carry that success into playoff time as they look to end a string of three consecutive playoff series losses to Medicine Hat from 2012 to 2014. 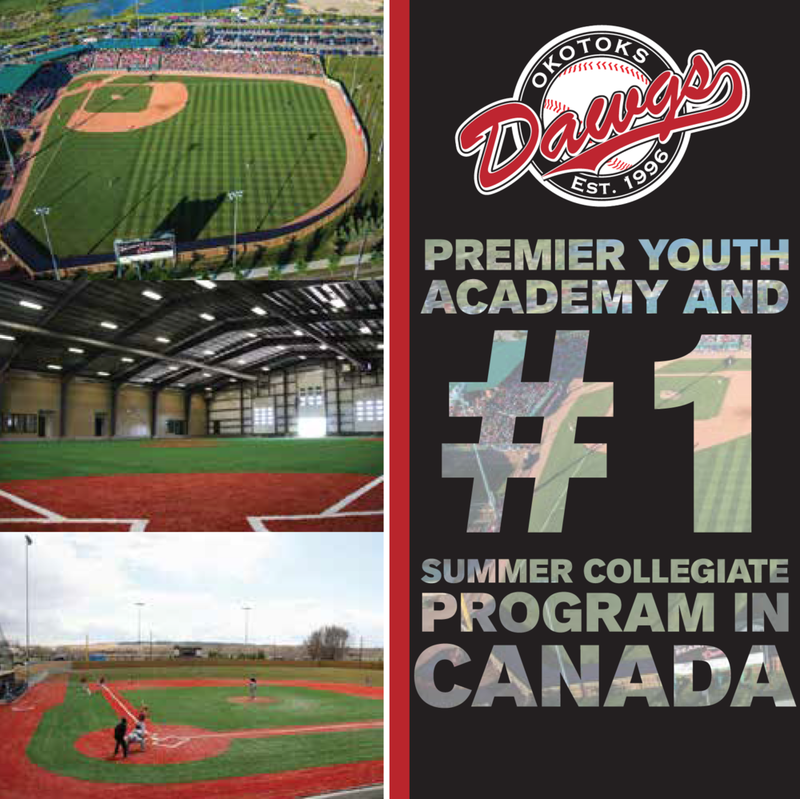 Aside from opening at home, then the Dawgs head to Athletic Park in Medicine Hat -- the atmosphere at both parks is sure to be electric for the renewal of an outstanding WMBL playoff rivalry -- and knowing that a potential Game 5 would take place at the corner of Don Seaman Way in Okotoks; the Dawgs can draw some confidence from their 6-2 record head to head against the Mavericks this season. The defending WMBL Champion Mavericks were two games above .500 at 25-23. They own the second highest scoring offence in the WMBL, plating 282 runs (seven more than Okotoks), with a lineup laden with key veterans like the UBC duo of Bryan Arthur and Brody Hawkins. Arthur (Abbottsford, BC) is hitting .339 with two homeruns and 23 RBI’s in his fourth season in the Medicine Hat outfield, while Hawkins (Vancouver, BC) has assumed starting catcher duties in his second season, and is leading the Mavericks with five homers and 29 RBIs. The Mavericks pitching staff is led by Colorado St. Pueblo senior Zac Wittmus who owns a 1.06 ERA in six starts. Perhaps a wild card for Medicine Hat, and their 4.08 team ERA, is the return of J.P. Stevenson. The freshman from New Glasgow, PEI, was dominant in the Mavericks 2014 championship run, and returned to the Mavericks this summer mid-season, following a month long rest after pitching 73 innings this spring, helping Canisius College Golden Griffin reach regionals. The Lethbridge Bulls are the Alberta division and WMBL regular season champions (34-14) meet Swift Current Indians (19-29). The Bulls are led by Cody Stewart of William Woods University, Brandon Bufton (Delta, BC) and Josh Day. Stewart is hitting .360 with 10 doubles, two triples, a homer and 21 RBIs, while Bufton batted .359 with 18 doubles, two triples, three homers and 37 RBIs, while Day batted .347 with 12 RBIs. And on the mound Chris Stodolka (Lethbridge, Alta.) is 6-0 with a 1.11 ERA and seven saves, Clark Grisbrook (Vancouver, BC) is 4-3, 2.02 and Kyle Olliges of Spalding University is 3-1, with a 2.50 ERA. The Indians are paced at the plate by Jose Rojas of Vanguard University, Nate Ackerman (Surrey, BC) and Darren Kolk (Duncan, BC) of Lewis-Clark State. Rojas is hitting .366 with 11 doubles, two triples, five homers and 20 RBIs, Ackerman is batting .348 with 10 doubles, five triples, seven homers and 26 RBIs and Kolk is hitting .320 with eight doubles, four triples, four homers and 27 RBIs. Aaron Godinez of Cal State Stanislaus, AJ McElderry U of Missouri-St Louis and Nelson Quark (Winnipeg, Man.) of Chandler-Gilbert have been the reason for the Swift Current success. Godinez is 4-1 with a save and a 2.00 ERA, McElderry is 2-3 with one save and a 2.90 mark, while Quark is 4-3, 4.52. The Weyburn Beavers (31-17) have won their first Saskatchewan division title meet the Edmonton Prospects (22-26). Colin Rintoul (Kamloops, BC), Dan Moro (Calgary, Alta.) and Reed Lavallee (North Delta, BC) have been busy as Beavers at the plate: with Rintoul hitting .393 with five doubles and eight RBIs, Moro batting .333 over the regular season with three doubles, a triple and 16 RBIs, while Lavallee hit .306 with six doubles, a triple and 12 RBIs. And on the mound Arizona Christian’s Wade Mason (4-1, 1.86, seven saves), Taft College’s Eric Evans of Weyburn (1-1, 1.84 with one save) and Jamestown College’s Scott Beaver from Rivers, Man. (4-2, 3.22). Edmonton has had major contributions at the plate from UBC’s Mike Parlow (Qualicum Beach, BC), Logan Wedgewood (Edmonton, Alta.) of Douglas College and Bryn Redhead (Leduc, Alta.) of Graceland University. Parlow hit .302 with seven doubles, a triple and 13 RBIs, Wedgewood batted .283 with three RBIs and Redhead is hitting .283 with a homer and 14 RBIs. And on the bump, Auzzie Zac Horton (4-2, 2.71), Brenden Wiun (Edmonton, Alta,) of Douglas (5-1, 2.74) and Noah Gapp (St. Albert, Ala.) and Merced College (0-5, three saves, 4.05). The Regina Red Sox (23-25) take on the Yorkton Cardinals (20-28), led by Wright State’s Zach Weatherford (.326, 18 RBIs), Rogers State’s Garrett Hall (.298, one homer, 10) and Wright State’s Gabe Snyder (.300, two, 16) at the plate and Baylor’s Tyler Shumpert (4-1, 2.16), Metro State’s Mike Thrill (3-2, 2.47) and Arizona Christian’s Tommy Lay (1-5, 2.84). Yorkton has been paced by Northwest Missouri State’s Nick Gotta (.336, 13 RBIs), Michael Schofield (.298, 15 RBIs), who has enjoyed a few nights at Talladega and Saskatchewan and Jefferson College’s Carter Hanford (.294, two homers, 14 RBIs) at the plate, plus Southeastern Illinois College’s Derek Marshall (Yorkton, Sask. ), 0-1, 1.30, Eastern Kentucky’s Eric Nerl (6-2, 1.98) and San Diego Christian’s Codi Scanlan (4-3, 2.67).